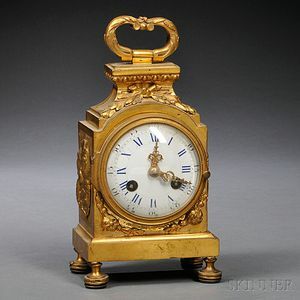 Gilt-bronze LXV-style Timepiece, France, 19th century, the square case with applied foliage in relief and set on four raised feet, overall ht. 8 in. Property from the estate of Sir Alasdair Munro of Lindertis, Bt. 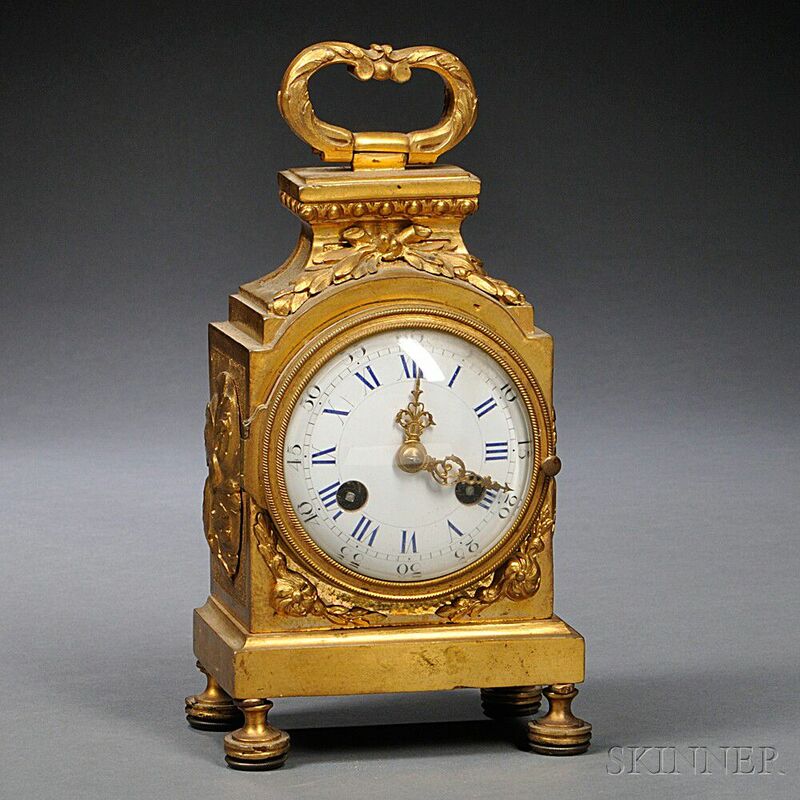 Missing pendulum; In overall good condition.